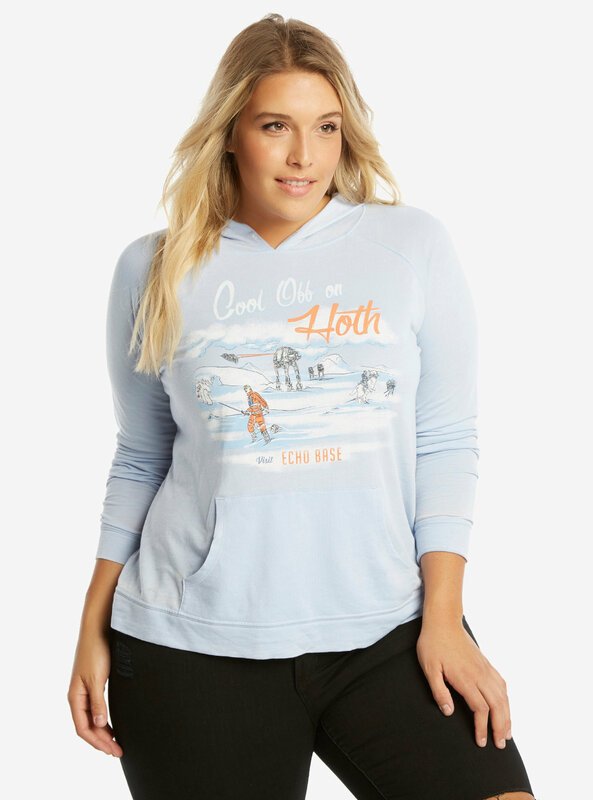 This new women’s Star Wars Hoth hoodie is now available at Her Universe. 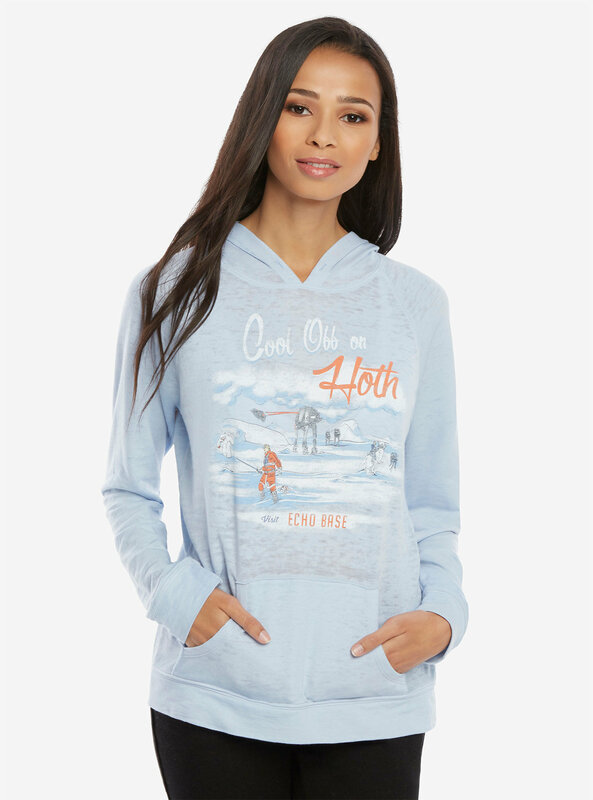 The pale blue hoodie is made from 50% French cotton terry, 50% polyester, and features a front print of Hoth scenes. The artwork includes moments from The Empire Strikes Back, like Luke Skywalker with his lightsaber ready to attack the AT-AT, Han Solo on tauntaun, the Imperial probe droid, and even the wampa! We highly recommend taking a vacation to a cooler climate. Hoth is great this time of year! Just make sure you dress for the occasion. You do not want to warm up in a Taun Taun, like Luke. 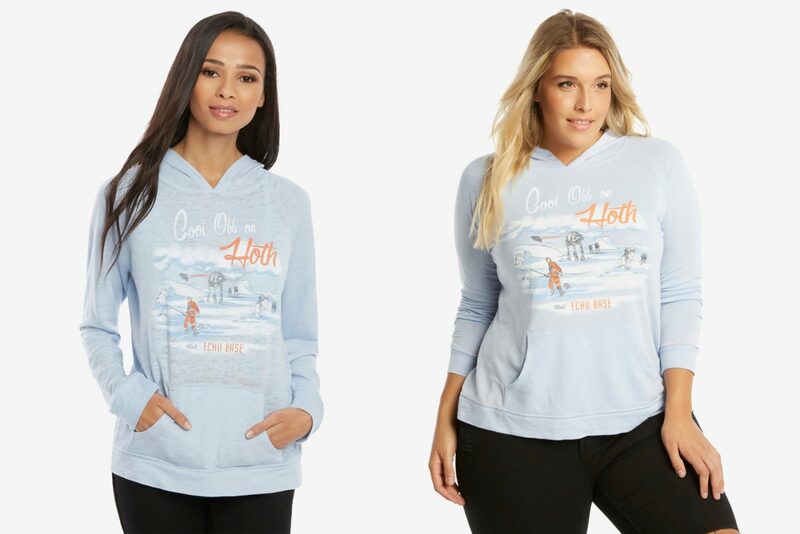 This icy blue hoodie has an Echo Base tourist inspired design that will let the locals know you’re visiting and is a great reminder of your trip after you’ve come back home. 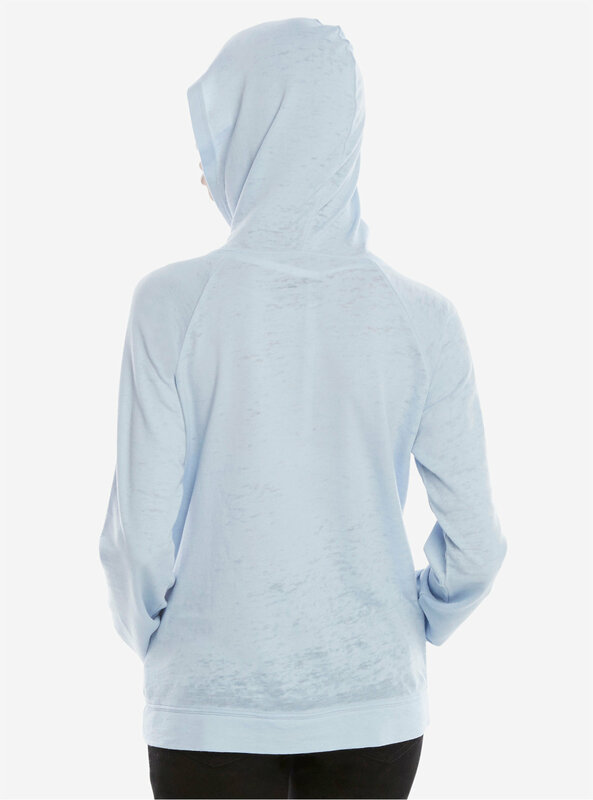 The hoodie is available in sizes XS to 3X, and plus sizes 00 to 5. It is priced at US$39.90 to US$49.90 each (depending on size) – but it is currently 15% off! 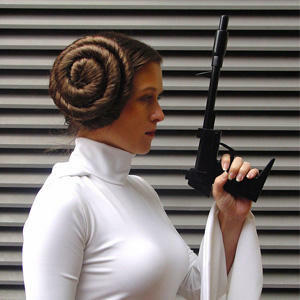 Due to licensing restrictions, Her Universe can only ship Star Wars apparel within the US and Canada, but overseas customers can order via a mail forwarding/personal shopper service.